Do Essential Oils REALLY Expire? One question we see often here at Plant Therapy: Do essential oils expire? So let’s talk about essential oil expiration and shelf life! This is a question that we see a lot. 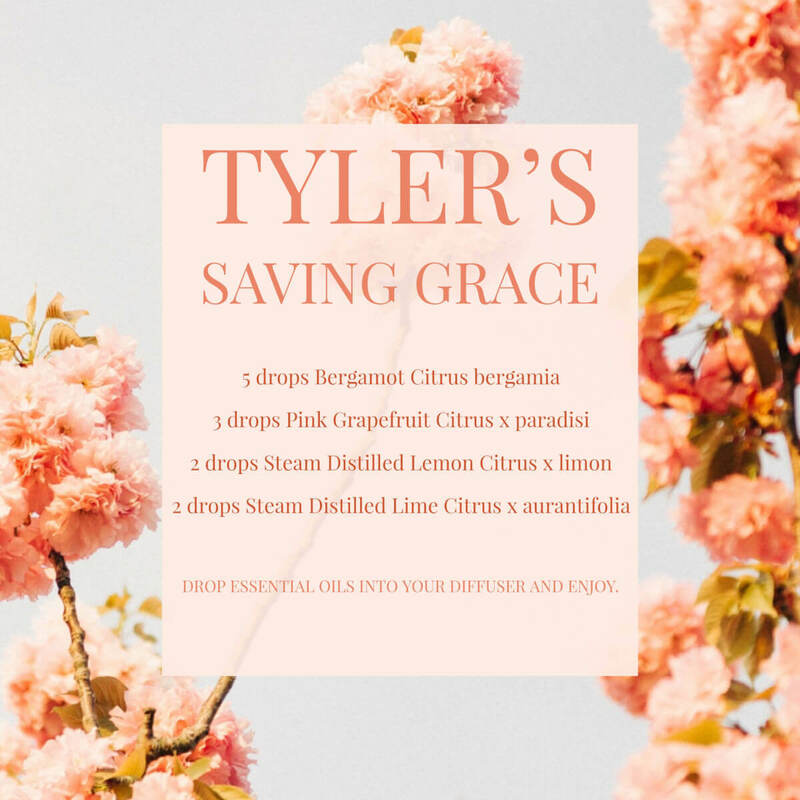 There are a lot of misconceptions stemming from the significant increase in popularity essential oils have gotten over the past several years and I think it’s time we really dive in and take a deeper look. Let’s start with the misconception itself. I’m sure at some point in your essential oil journey that you have heard someone say, “Well, if the oil is pure it does not expire.” You may have also heard that essential oils don’t grow mold, mildew, or yeast. All these things are true. Now you are probably staring at the screen thinking to yourself what a loon I am. Well, that may be true, but I’m not done. So, do essential oils expire? Essential oils do not expire. They do not grow mold. They also do not grow mildew or even yeast. The false hope these facts cause is that essential oils will last forever and that they have an indefinite shelf life. This is very far from the truth, and I’d like to explain why. Oxidation. Such a simple, yet complicated word. Oxidation is the process or result of oxidizing or being oxidized. Oxidized means to undergo or cause to undergo a reaction in which electrons are lost to another species. But wouldn’t that result in an oil becoming something else? Bingo. That’s exactly what it means, and why essential oils most definitely have a shelf life. When you look at essential oil safety, you’re really sitting down and looking at the chemical constituents that make up an oil, not really the oil itself. You look at the different constituents that an oil is composed of, the levels of each constituent, and the safety information attributed to each constituent. This is why GC/MS reports are so important because they tell you what exactly your oil is composed of and how much. Throw oxidation back into the mix. The constituents that make up your essential oil start to break down and turn into new constituents altogether. What do they turn into exactly? Nobody knows. It depends on the constituent, the amount of time it’s been oxidizing, etc. The only way to tell for certain is to retest the oil. Hopefully, by this point, you understand where we are going. While essential oils don’t “go bad” the way food does, they do change over time. And because they change over time, and we don’t know what’s in them, the safety of an oil can’t be fully determined. 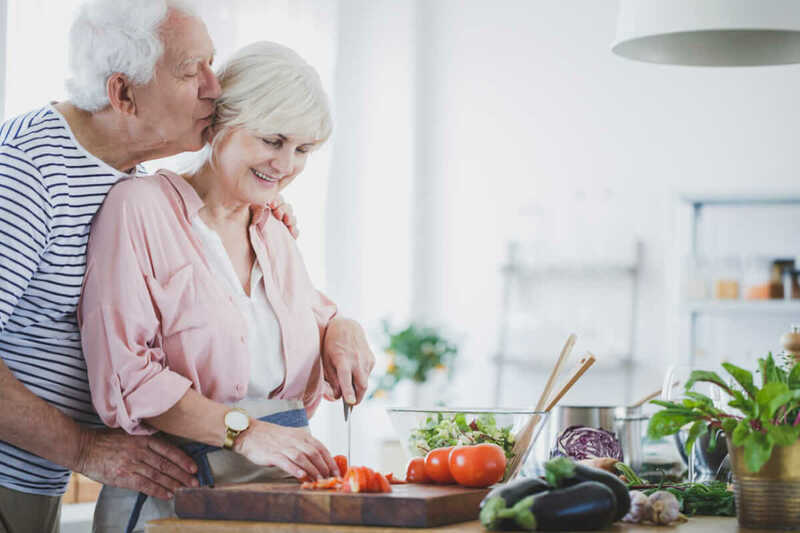 But the good news is, there are things you can do to slow down the rate of oxidation and extend the “life” of your oil but you need to know what contributes to an essential oil’s oxidation process. Oxygen, heat, and light. Three everyday forces that greatly impact the shelf life of essential oils. Oxygen is probably the biggest contributing factor to oxidation since oxidation can’t happen without oxygen. Heat and light also contribute to oxidation, but for different reasons. Reasons we are not going to dive into, because, well… nobody wants this to turn into a full-blown chemistry lesson. Oxygen exposure can be reduced by ensuring your recap your essential oil bottles tightly and quickly. Don’t let your bottles sit out on the counter opened for too long. 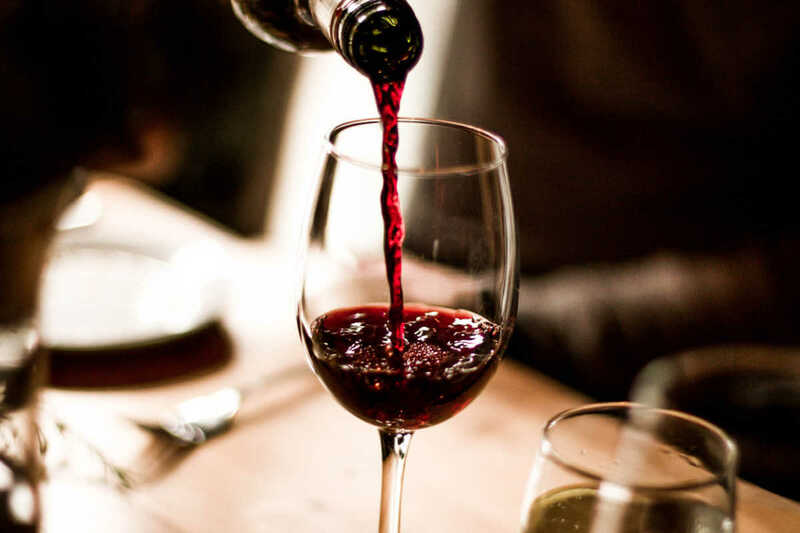 This allows oxygen to penetrate the bottle and increase the rate of oxidation. A pro-tip to consider is decanting your oils into smaller bottles as-needed. If you buy a 10ml bottle of essential oil and use 5ml or more, consider pouring the remaining oil into a smaller sized bottle. Heat exposure can be reduced by keeping your essential oils in a cool place, like a fridge. According to Robert Tisserand, the ideal temperature for essential oils is between 35 and 38 degrees. There are some things to consider, though. Because essential oils are so powerful and aromatic, they do have the ability to alter the taste of the food and beverages stored with them in the fridge. You can help reduce these effects by storing them in separate containers in the fridge. Or, you could do as I did and buy a whole separate fridge. Light. Naturally, the way to reduce light exposure is to keep essential oils stored in a dark colored bottle and keep them in a dark, cool place. If you can’t afford a fridge for your essential oils, and you don’t have the room to store in them in your regular fridge, consider storing them in another dark and cool place like a cabinet. Looking back on what we’ve learned, there is a whole lot of science and chemistry behind essential oils and their respective constituents. The problem is that while the oil may not go “bad” but it doesn’t stay the oil you know and love forever. It will begin to change and break down. And while there may not be an exact science behind the “shelf life” of an oil, there is a pretty good idea on how long an oil should last if stored properly. You can check out our recommended shelf life chart here. So now the question is, when does the shelf life start? 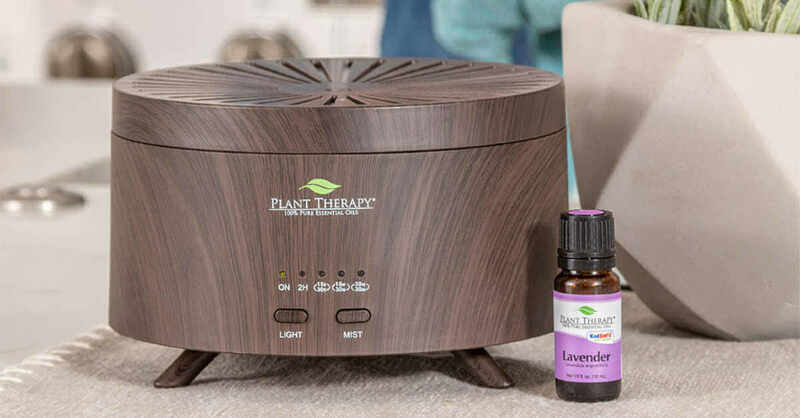 We cannot speak for every company’s essential oils, but Plant Therapy’s essential oils are stored in a barrel topped with a nitrogen barrier that helps keep oxygen out. This prevents oxidation while it waits for bottling. Once the oil has been bottled, we have a strict forecasting structure to prevent oils from sitting on the shelf for prolonged periods of time. Because we have these procedures in place, it gives us confidence that the shelf life of your oil will start as soon as it arrives to you. If you have any questions, comments, or concerns… please feel free to reach out to us at [email protected] or by joining our Facebook group, Safe Essential Oil Recipes (SEOR). For those who know me (Hi! I’m Tyler from SEOR! ), it’s no surprise that I absolutely ADORE Blue Tansy. I love the smell, the deep dark blue color, and most importantly the benefits packed into the tiny bottle. It is truly a remarkable essential oil. If you haven’t read about Plant Therapy’s trip to Morocco in search of Blue Tansy, you should definitely do that now, here. It will give you a great appreciation for not only the oil, but the plant, farms, and distillers. To give you some background on Tanacetum annuum, it is a perennial, herbaceous plant commonly referred to as Blue Tansy or Moroccan Chamomile. It is a seasonal crop that requires optimal growing conditions so it may be scarce and unavailable at times. Plant Therapy’s version of this essential oil is sourced from Morocco from a green, hairy plant that produces small yellow flowers. So you probably find yourself asking, why should I buy it? What benefits does it have? Let me enlighten you with my top 3 uses for Blue Tansy. Blue Tansy to me is very relaxing and helps promote a sense of calmness that I just don’t find with oils. The dark, deep blue color paired with complex and sweet aroma is just so relaxing. After long, stressful winter days, I like to come home and diffuse 3 drops of Bergamot, 2 drops of Cedarwood Atlas, and 1 drop of Blue Tansy to help melt away the stress of the day. 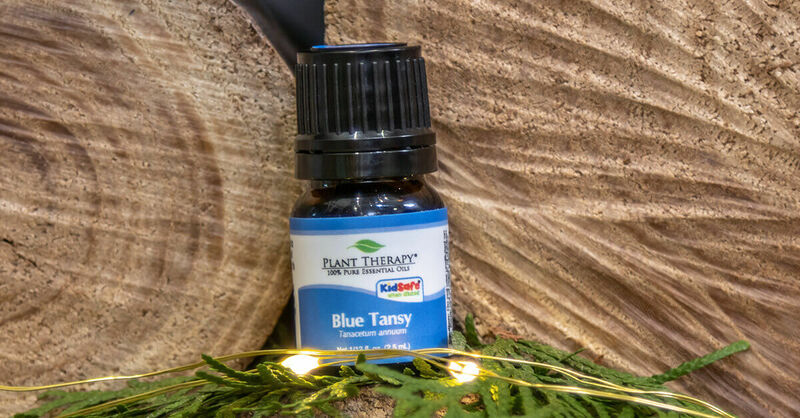 As someone who loves to spend time outdoors, especially in the spring and early fall, I rely heavily on essential oils to help keep me healthy and breathing easily, especially Blue Tansy. I keep my Respiratory Powerhouse inhaler in my pockets at all times as it’s packed with powerful oils that help make my outdoor adventures possible. 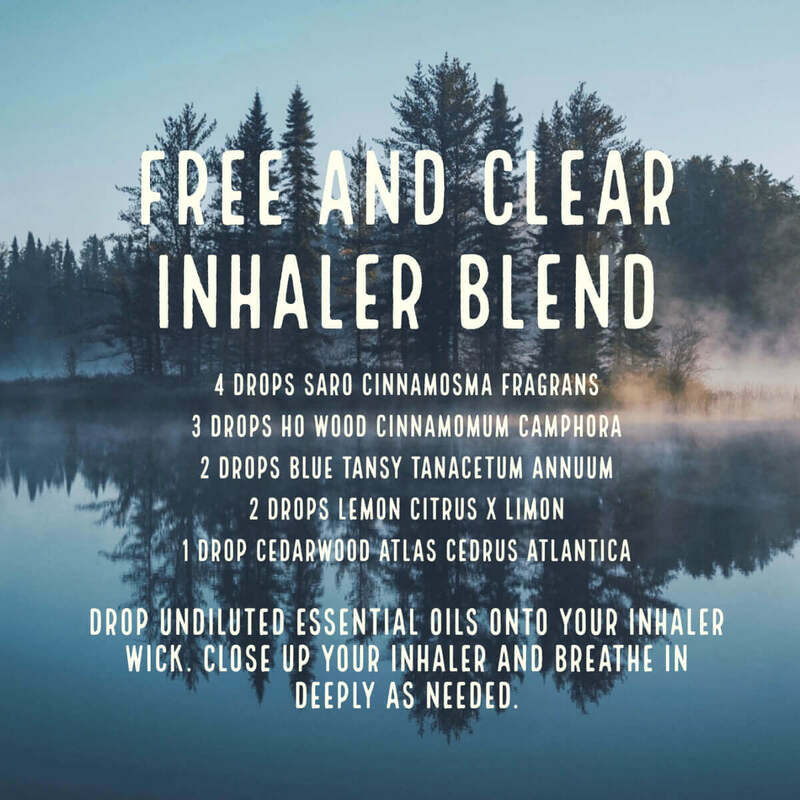 You can make your own Respiratory Powerhouse inhaler by adding 4 drops of Saro, 3 drops of Ho Wood, 2 drops of Blue Tansy, 2 drops of Lemon, and 1 drop of Cedarwood Atlas to your personal inhaler. 3. Promote healthy feeling skin. Blue Tansy is a useful essential oil for many different things as we’ve discussed so far. But what about its topical uses? Well, never fear! Blue Tansy makes a fabulous addition to your skincare routines as it helps promote healthy looking skin, leaving you looking and feeling better than ever. Use it in your favorite facial serums, hand lotions, or body butter alongside your other favorite skincare essential oils. Whew! 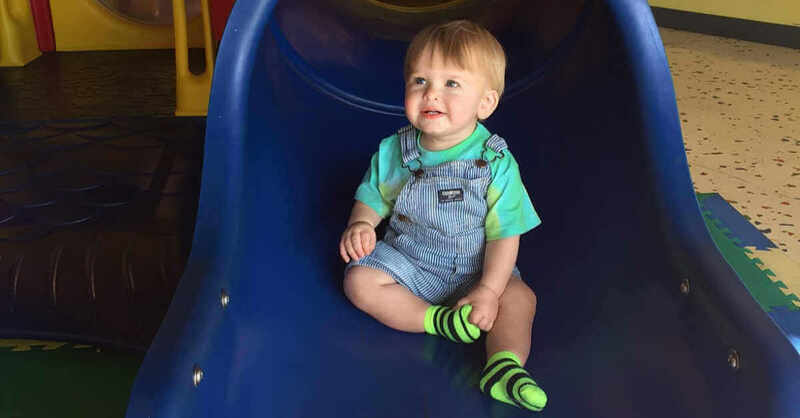 Now that we got essential oil safety with infants and toddlers out of the way, we can move on to talking about the common issues facing parents with little ones under the age of 2. Now, take a second to think about what these common issues may be. I would almost bet that teething came to mind. If it didn’t, well… consider yourself lucky. Really, really, REALLY lucky. But for those of us who have had to deal with it, and those poor souls that are dealing with it as we speak, it’s a big issue. Before moving any further on this blog post, I would like to encourage those who haven’t read our previous blog post on how to use essential oils with infants and toddlers to do so now. You can check it out here. Once you’ve done so, you’ll have a better understanding of how to move forward. You’ll know which oils are safe to use, what dilution rates are safe to use, and why all of that good stuff is important. I do want to emphasize the importance of only using KidSafe labeled essential oils. Oils like Cinnamon, Peppermint, and Clove are NEVER safe to use with small children, and should even be avoided for older children. But that’s a topic for another day. Keep in mind as well that we do not recommend nor promote the internal application of essential oils. Please do not apply any essential oils, diluted or undiluted, inside the mouths of your little ones. Let’s talk about what to diffuse and when to diffuse it. 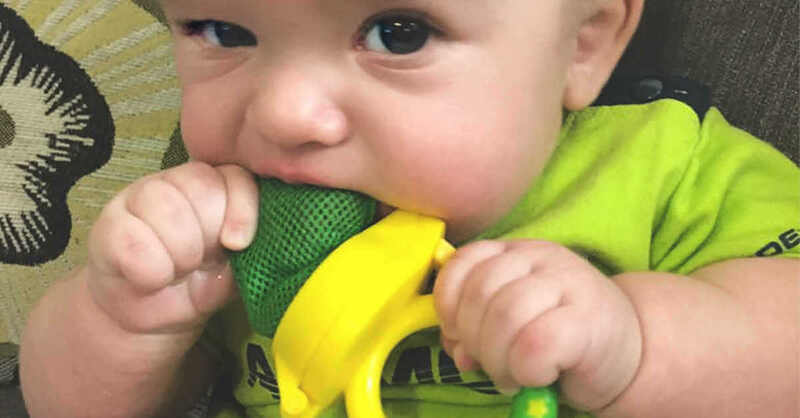 Can diffusion really help with teething related dilemmas? Absolutely, more than you’d think! One thing that almost always comes along with teething is meltdowns. Our little ones meltdown, and we ourselves as parents meltdown. It’s not a pretty sight. This is when diffusion comes into play. When you or your little one is at wit’s end, try diffusing some calming oils for 10 or 15 minutes. Some of my top oils to help with these emotionally turbulent times are Bergamot, Lavender, Cedarwood Atlas, and Vetiver. 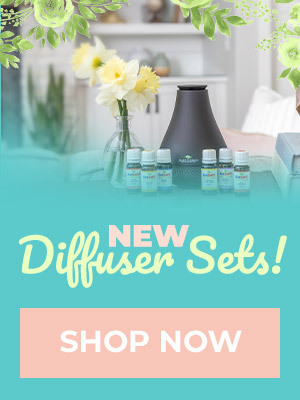 If you are so drained that you just can’t fathom blending together oils for the diffuser, stick with an essential oil blend that’s already been created for you, Calming the Child. Just diffusing for a short period of time can go a long way to making everyone feel better, and that’s our ultimate goal here. So now that we’ve talked about what and when to diffuse, let’s talk about what and when to apply. 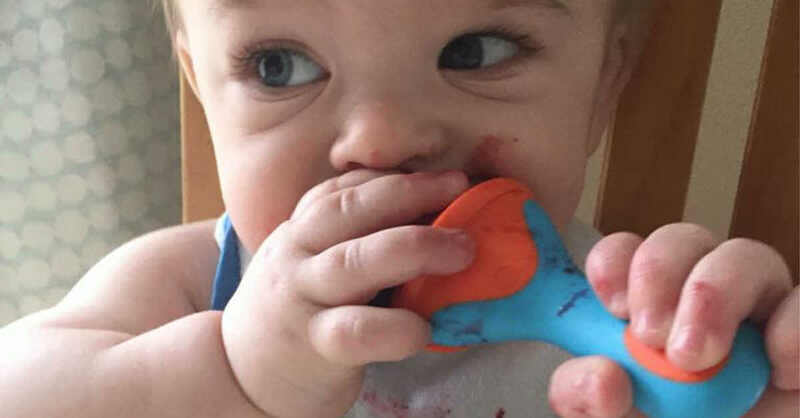 We’ve tried all the fancy teethers, the frozen fruit, or perhaps pickles in a mesh pouch (nope, just me?). Nothing has worked thus far. SO now what? Can essential oils lend a hand? You betcha! But first, I’d recommend trying something gentler than essential oils. A great friend of mine, Chamomile Hydrosol, can go a long way at helping to ease our little ones into more of a state of bliss. All you have to do is soak a warm rag into a little bit of Chamomile hydrosol and warm water, and gently rub it on the gums. For older little ones, you can even let them use the rag as a teether toy but only do this with supervision. After you’ve given gentler options like diffusion or hydrosols a try, it’s okay to move onto essential oils. For little ones 0-3 months, you should use a low 0.1% or 1 drop of essential oil per ounce of carrier oil. For little ones, 3-24 months, you should use a low 0.25% dilution or 2 drops of essential oil per ounce of carrier oil. Once you’ve blended your essential oils and a carrier oil, gently apply it to your little one’s outside jawline. Do not apply any essential oils inside the mouth of your little one, and be careful not to over apply. You only need a very little bit. This application can be done a couple times a day, as needed. Whenever you have doubts, questions, or just need some reassurance using essential oils on your teething infants and toddlers, you can always email one of our certified aromatherapists at [email protected] or check out our group on Facebook, Safe Essential Oil Recipes. 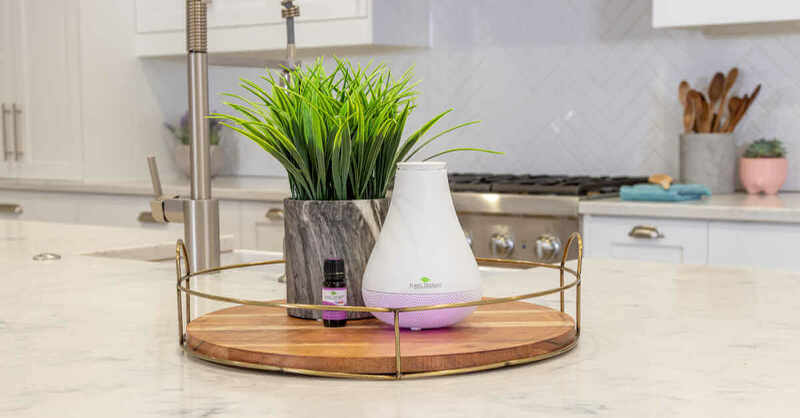 Here at Plant Therapy, we believe in empowering our customers with safe essential oil information to ensure they get the most out of all their essential oils. We’ve talked about dilution, KidSafe essential oils, and many more educational topics. 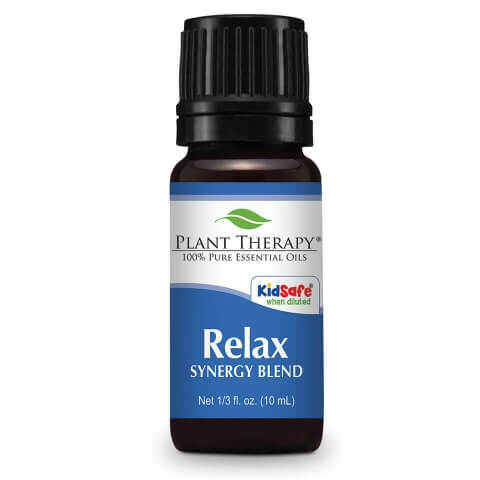 For those of you who are familiar with our KidSafe line of essential oils, you probably already know that they were formulated for common concerns faced by parents with children 2 and up. But what about children under the age of 2? Can I use essential oils on children under 2? What oils can I use? What dilution rates should I use? These are some of the questions we get asked by our customers a lot, and we have decided it is time to provide. So, without further ado, let’s take a deeper look into using essential oils safely with our littlest children. Can I use essential oils on children under 2? The short answer, yes! Essential oils can be used on and around children under the age of 2. But there are some things to take into consideration. For instance, the essentials you choose to use, how you decide to use them, and what dilution you decide to use. Which essential oils can I use? We took the guesswork out of determining which essential oils are safe to use with our little ones. All you have to do is look for the KidSafe logo. When properly diluted, essential oils marked with the KidSafe logo are gentle enough to be used on our littlest children. What dilution rate should I use? For children ages 0-3 months, we recommend using 1-2 drops of essential oil per 1 ounce of a carrier oil when used for whole body application. This would leave you with a dilution of 0.1%-0.2%. For spot usage, you can use 3-9 drops of essential oil per 1 ounce of carrier. For children ages 3-24 months, we recommend using 2-4 drops of essential oil per 1 ounce of carrier when used for whole body application. This would leave you with a dilution of 0.25%-0.5%. For spot usage, you can use 9-27 drops of essential oil per 1 ounce carrier. Why are KidSafe essential oils and dilution rates important? 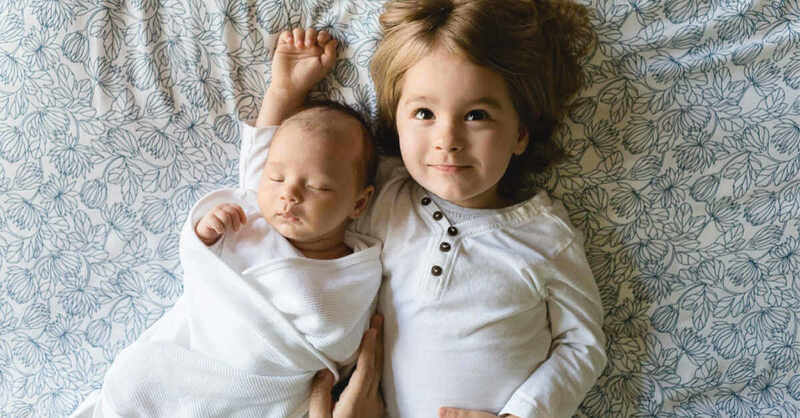 Using KidSafe essential oils and low dilution rates is important when used on children under the age of 2 for almost the same reasons it’s important for children 2 and up. 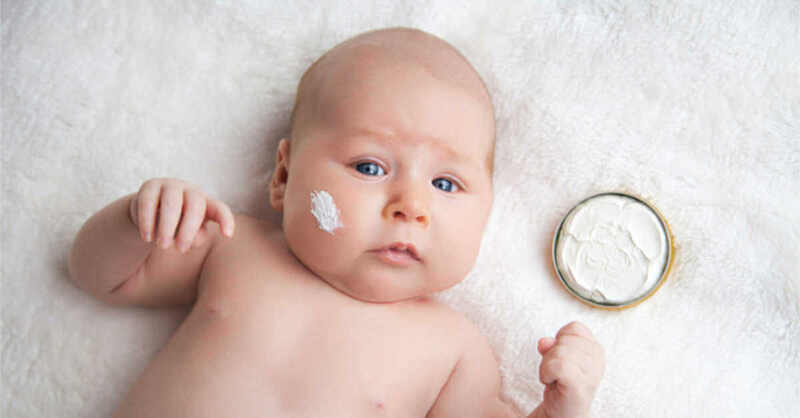 It’s no surprise that younger children have super sensitive skin. The thin, sensitive skin is much more permeable to essential oils than the skin of an older child or adult. Too high a dilution could cause skin irritation and other problems later down the road. Having spoken briefly about the risks of using essential oils topically on our little ones, you may be asking… are there gentler options available? The answer is yes! 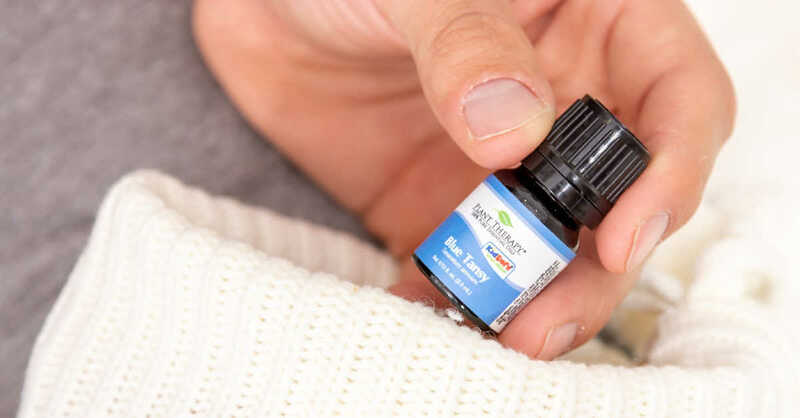 One of our favorite ways to share essential oils with our little ones creates an emotional and physical bond between baby and parent through touch. To use this method, all you have to do is apply the KidSafe essential oils to yourself using a low, 1% dilution and then snuggling your baby closely. This allows the baby to obtain the essential oils benefits in an easy, gentle way. Hydrosols are another great option for babies and can be used for a variety of things. Lavender hydrosol is great to help promote sleep and relaxation for even the fussiest babies. You can spritz the lavender hydrosol directly on the baby, or you can spritz the baby’s bed right before bedtime. Our Chamomile hydrosol is excellent at providing some gentle, soothing comfort that typically accompanies teething. Soak a clean, warm washcloth in our chamomile hydrosols and gently rub it on the gums or outer jawline. 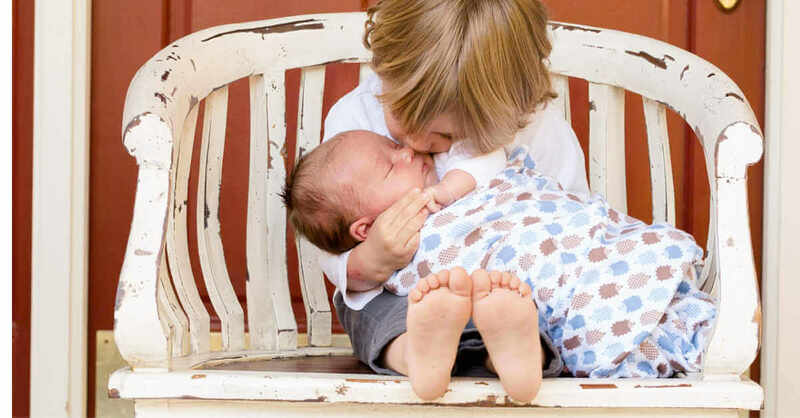 If your little one develops some skin sensitivity or irritation, our Helichrysum hydrosol is gentle, soothing, and perfect for your little one. Another product we’d recommend for your little one is our Organic Healing Balm. The Organic Healing Balm is gentle and soothing. It’s great for your little one’s sensitive skin and can help provide some relief from dry, irritated skin. It is packed with wonderful, organic carrier oils, butters, and beeswax, and is even infused with Calendula! It’s the swiss army knife of products for parents with little ones. You can also use infused carrier oils (or just plain carrier oils!) on your little one without any added essential oils. This is an excellent option for relaxing baby and helping promote a healthy relationship between baby and parent. I love infusing our Organic Jojoba carrier oil with organic lavender buds for a gentle, relaxing massage oil. Just fill a sterile jar halfway with organic lavender buds, and then fill it with our Organic Jojoba carrier oil, or another carrier oil of your choice. Let it sit and infuse in a dark, cool place for a couple of weeks. Once you’ve let it infuse, strain the lavender buds, and use as needed. We’ve talked about how to use essential oils safely through topical application, as well as other safe ways to use essential oils on little ones, but what about diffusion? We recommend diffusing KidSafe essential oils for 30-60 minutes a few times a day. It is also worth noting that there are fewer risks diffusing than using essential oils topically. We recommend taking that into consideration when deciding how to use your KidSafe essential oils with your little ones. If you can accomplish your goals by diffusing, that would be the way to go. When should I use essential oils on my little one? 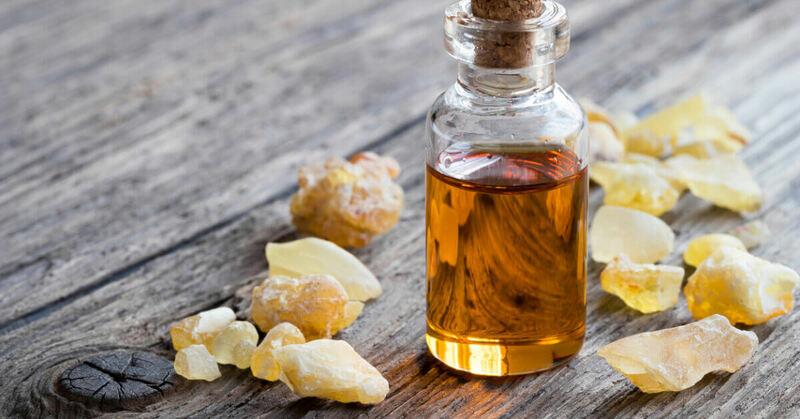 We have talked about which essential oils to use, how to use them, some of the safety concerns that come with essential oil use, and some safer alternatives to essential oil use. Now you are probably asking, When should I use essential oils on my little infants and toddlers? Unfortunately, there isn’t a simple answer. It’s important to remember that even KidSafe essential oils are powerful tools that should be used with intention. As parents and practicing essential oil users, we must ask the question, do the benefits outweigh the risks? If the answer is no, essential oils may not be the way to go. Another question we have to ask ourselves is, is there an effective option that is safer with fewer risks? If you answered yes, then try those things first. Lastly, you have to ask yourself, What am I trying to accomplish? This goes back to using essential oils with intention. 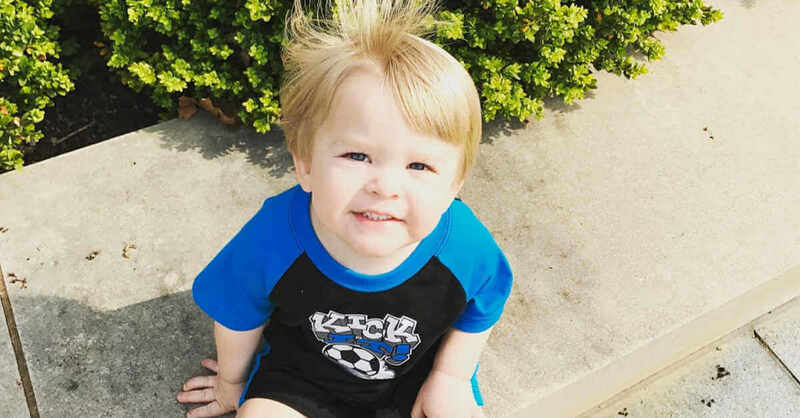 If there isn’t a reason for using essential oils on your little one, it’s best not to. 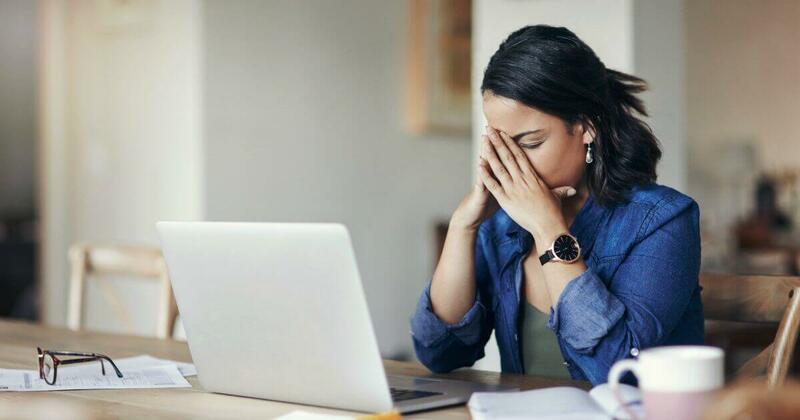 If you’ve gone through all of the non-essential oil recommendations mentioned above, and the issue still persists, moving onto essential oils may be your next step. But should you use topical application or diffusion? If the reason is physical (think skin irritation, discomfort from teething, etc. ), topical application may be the best choice. Just remember to use the proper dilution for your child. If the reason is more internal (lack of sleep, respiratory support, etc. ), diffusion may be best. Just remember to limit diffusion to 30-60 minutes, a few times a day as needed. Keep in mind that whenever you have doubts, questions, or just need some reassurance using essential oils on your infants and toddlers, you can always email one of our certified aromatherapists at [email protected] or check out our group on Facebook, Safe Essential Oil Recipes. Hello everyone! My name is Tyler Hagan, and I’ve had the privilege of working for Plant Therapy since October of 2017. 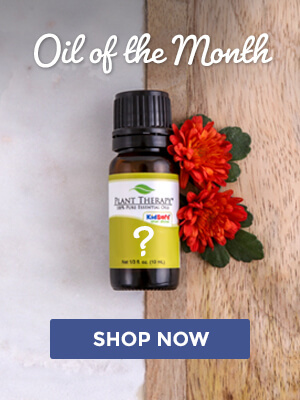 I spend almost all of my time in our lovely Facebook group, Safe Essential Oil Recipes (SEOR), but you can often times find me answering your questions via email.  I have been a long time customer of Plant Therapy and a long time member in SEOR. Aromatherapy is my biggest passion in life, and I love being able to work with others to spread safe essential oil knowledge far and wide. Prior to being employed by Plant Therapy I was a preschool teacher for several years. I’ve worked in several childcare settings, developmental preschools, elementary schools, and churches. Teaching has always been one of my biggest passions in life. 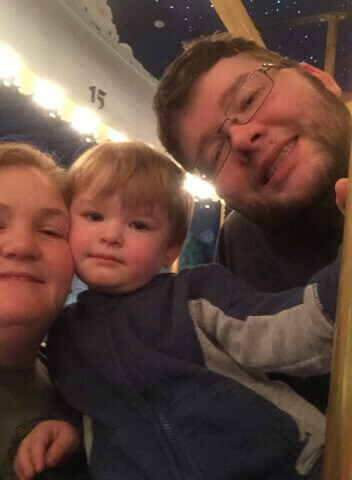 I am happily married to my best friend and we have one little guy together, and I have two lovely stepkiddos . Besides spending time with my family, I also enjoy reading, whipping up DIY projects in the kitchen, watching movies, organizing, and gardening. Our favorite family pastime is camping when the weather permits. One of the hardest tasks I’ve encountered working at Plant Therapy is narrowing down my top 5 essential oils. I love SO many different essential oils, it’s hard to just pick 5, however, I’ve narrowed it down to the following essential oils below. Blue Tansy Tanacetum annuum, is easily my #1 favorite essential oil. It is very uplifting, and it gives me that extra emotional boost I need throughout the year. For someone who spends a lot of time outdoors, it is a must to help keep my chest clear and breathing strong. It’s a big feature in my Free and Clear inhaler blend for my adventures in the great outdoors. Cedarwood Atlas Cedrus atlantica, is a close second. It’s sweet yet spicy aroma is extremely calming and can be used to settle the crazy emotions and tension that follow a long, busy day. 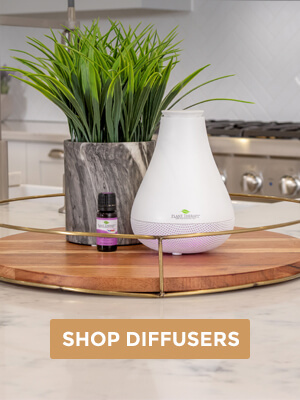 I love to diffuse it alongside my third favorite oil, Vetiver Vetiveria zizanioides. For those that have never used Vetiver Vetiveria zizanioides, you must give it a try! It’s earthy, smoky aroma is just what I need at the end of the day to calm the constant chattering in my head. It also helps keep me calm and healthy throughout the year, which is always a huge plus. One thing I struggle with daily is getting out of bed in the morning. Ask anyone who knows me, I am not a morning person, and I’m not exactly fun to be around straight out of bed. After many years of struggling, I found essential oils, and my life has forever been changed. And it’s all thanks to my fourth and fifth favorites, Grapefruit Pink Citrus x paradisi, and Bergamot Citrus bergamia. These two oils, blended together in the diffuser, is Tyler’s Saving Grace. I used to live in the foothills of the Sierra Nevada mountains. The presence of Douglas Fir trees dotted our landscape for many miles. It is a rugged and strikingly beautiful terrain. The fragrance of these giants is also present, as you breathe in that sweet and balsam-like aroma everywhere. It is cleansing, grounding, uplifting, and restoring. Plant Therapy gives us the gift of Fir trees this month with not one, but two essential oils. Douglas Fir and Silver Fir are the featured oils for the month of February. As they were going around the office to preview, I became excited for our customers as I took in the scent of the oils, one at a time. Douglas Fir essential oil has that familiar conifer scent with a subtle apple note to it. 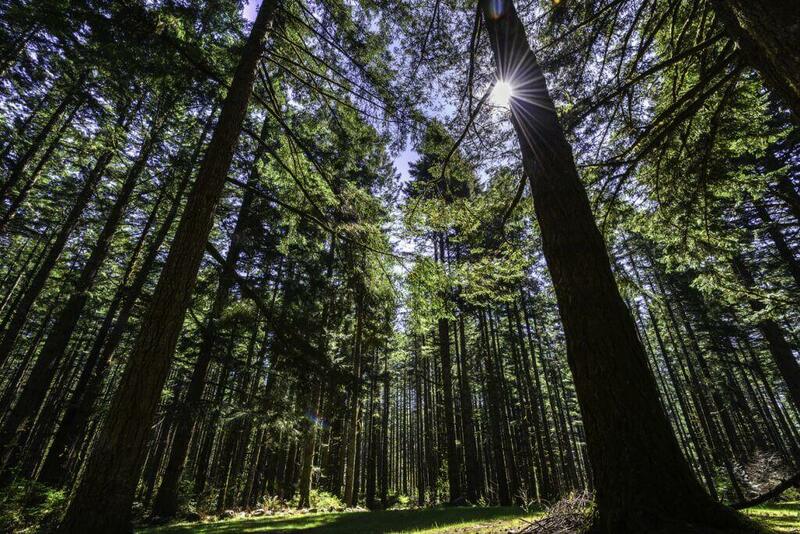 The Silver fir is different, yet also inspiring and boosting to the mind. 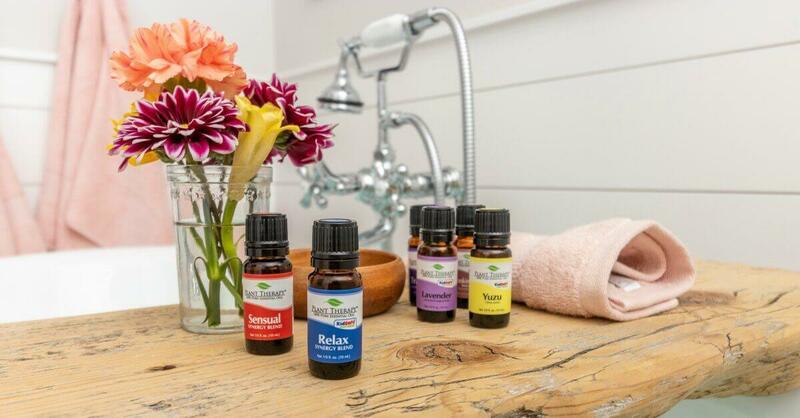 The only thing more relaxing than a bath at the end of a hard day is perhaps adding a little of your favorite essential oil or essential oil blend and letting the aroma surround you. The busy thoughts dissipate, the sore, tired muscles relax and one can even momentarily drift off. It can be wonderful or it can be miserable if essential oils are not added to the bath correctly. As aromatherapists, we have heard stories of major irritations, including to children, from something seemingly benign as citrus oils or Lavender. Usually, it is the delicate area that hits the water first, but it can be anywhere on the body. When considering hair growth and regrowth treatments, natural remedies like essential oils may prove helpful. Hair is more than just a protective covering for our noggin. For most people, it means much more. It’s often the first thing people notice about us. It is part of our identity, our expression and creativity. It is part of our vanity and youthfulness. And, for some, it’s a statement. 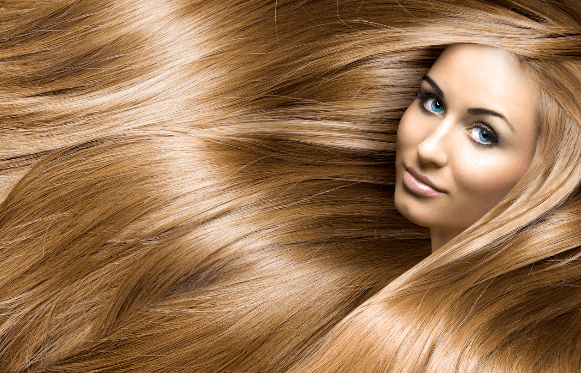 Hair care products continue to rise in popularity and in dollars every year as we search for that perfect panacea for flowing tresses.